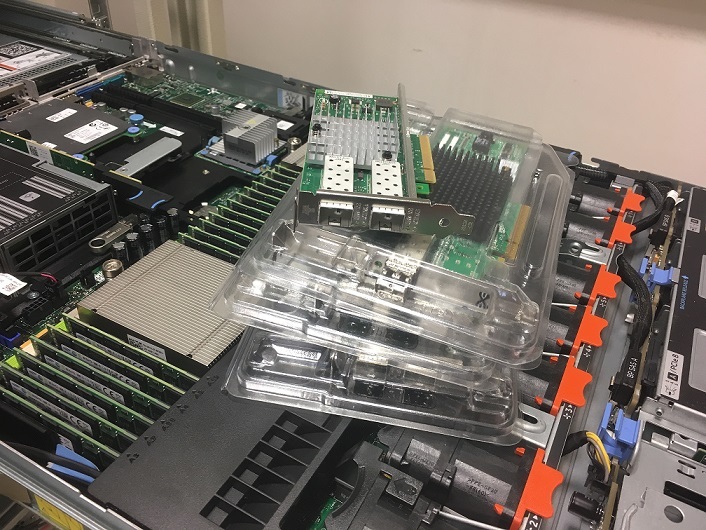 I am running ESXi 6.0 Dell Customized iso U4 (updated to latest build 4600944 – 03.02.2017) on 2x Dell PowerEdge R620 server with two port PCI Intel X520 10 GbE adapter with Intel SFP+ (Intel R8H2F) . 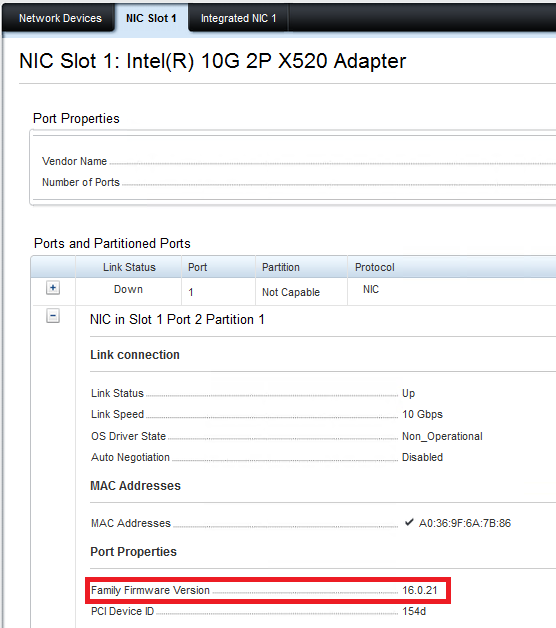 The main problem is, that the X520 is not loaded in VMware ESXi 6.0.
iDrac of R620 server – Hardware > Network Devices > NIC Slot 1 – the firmware of X520 is 16.0.21 (11 Mar 2015). Press the F10 key to enter Lifecycle Controller. In the left navigation pane, click Firmware Update. In the main pane click Launch Firmware Update. 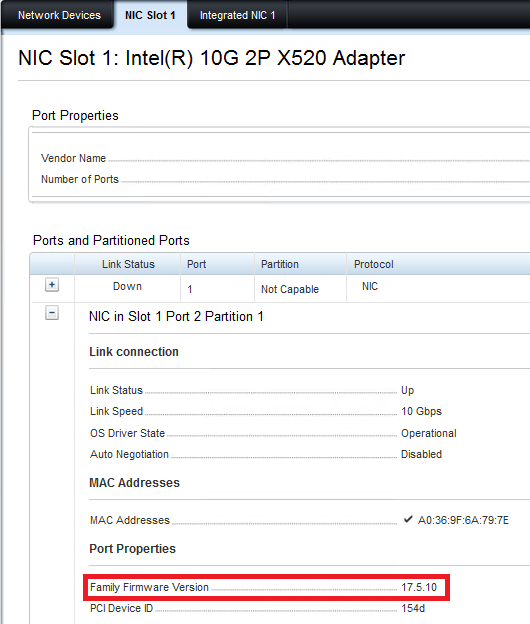 and finally… i see the X520 card in VMware !!! I’m seeing the same issues that you started with (looks like we may have both bought the special from Curvature). The difference is that I don’t see the card in the iDrac interface. 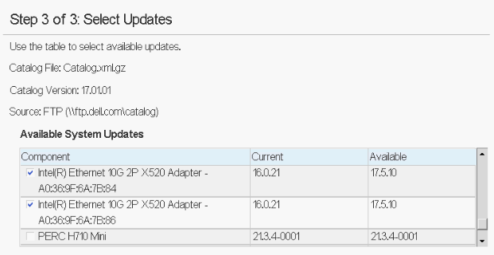 I’ve done the firmware update, but the dell doesnt seem to notice the intel card there. Any ideas? 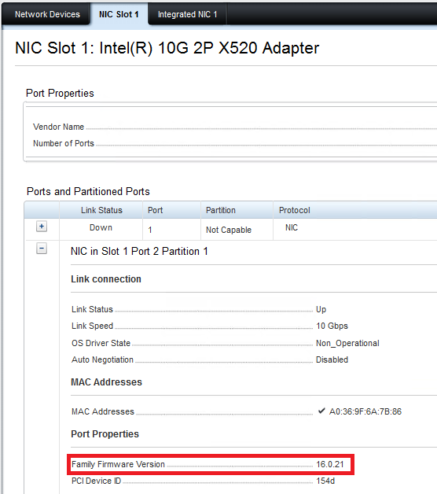 Check your SFP transceivers are Intel. 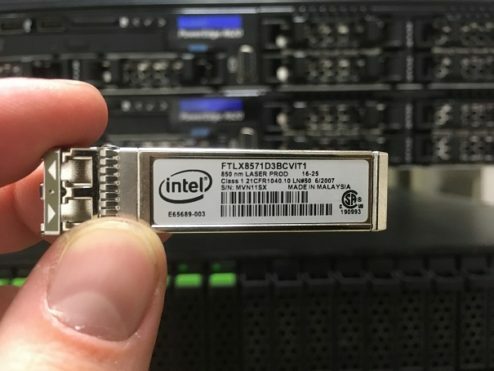 Intel X520 will not work with non-Intel transceivers at boot. I say at boot because if you install the non-Intel transceivers after boot, they will work until the server reboots and then the vnic will disappear. to update the firmware try this https://www.dell.com/support/article/us/en/04/sln296511/updating-dell-poweredge-servers-via-bootable-media-iso?lang=en#2. Its a bootable linux image with the latest firmware on it. Boots up to linux, flashes everything that needs updating then you reboot and you are good to go. 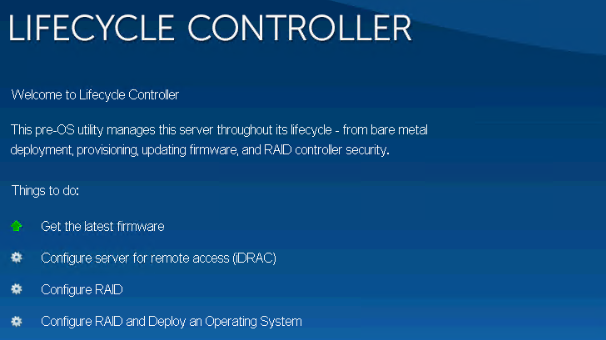 I had to update my firmware this way since it wouldn’t work through the lifecycle controller method.